Dental implants are made of titanium and are used to replace damaged or missing teeth. The dental implants are placed during a small minor operation which can be carried out under local anaesthetic or sedation. 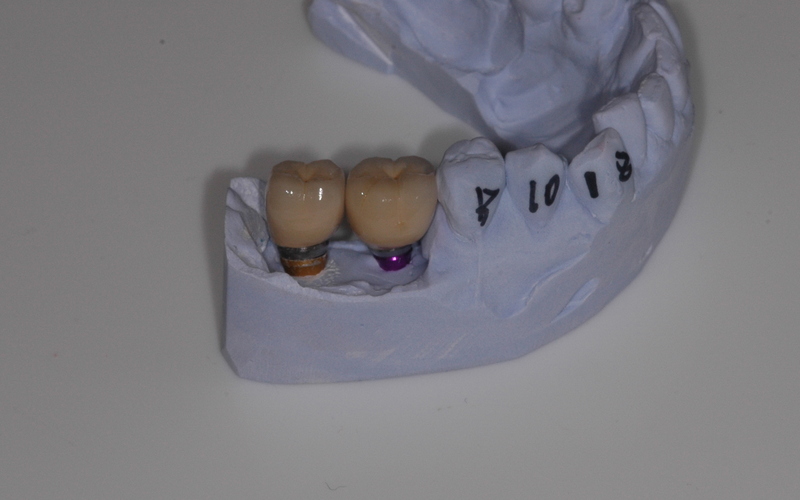 The procedure itself only takes about 1 hour to complete, and in many cases a provisional crown or dental bridge can be attached to the dental implant on the same day. The design and general shape of dental implants has changed substantially with earlier designs having outer surfaces mainly parallel. Most of the earlier designs of dental implants were perfectly cylindrical in shape with flat tip. Although this design is still in use today there are many other dental implant designs being used today that are root shaped liked a tooth. In other words a tapered dental implant allows for better dental implant placement in some cases and better long term results. Earlier implant surfaces were polished titanium and although this was considered ideal in the earlier days, its now accepted that a roughened surface allows for better bone to implant integration. The roughened surface allows better adhesion of the bone cells and hence provides better long term stability of the implant. 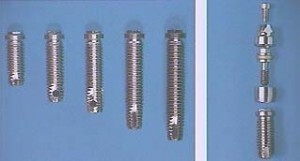 Small threads were used without cutting grooves on dental implants in earlier designs. For this reason the initial protocol was one where the dental implant was placed into a hole that was precisely the same size as the dental implant itself. The dental implant was then left to heal for about 6 months under the gum tissue. 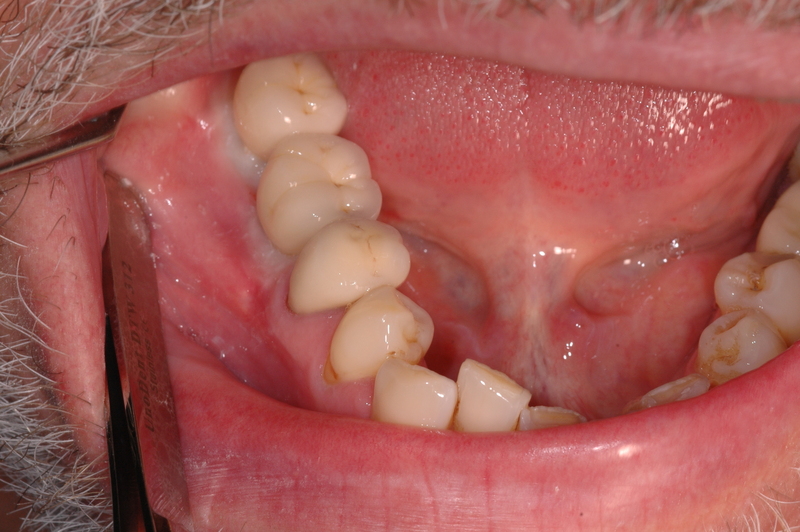 The dental implant was basically slightly loose. The 6 month healing period allowed for the bone to close this tight space and make the implant stable. Modern dental implants have more aggressive threads and cutting grooves in order to allow dental implants to be placed into smaller holes than the implant itself. 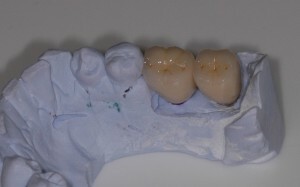 This meant that the implant itself expanded the hole and created a very stable dental implant at the time of surgery. 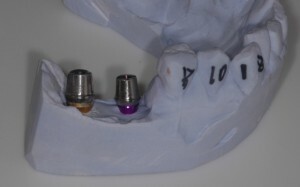 This advancement was later improved and scientifically proven to allow a provisional crown or bridge to be loaded onto the dental implant on the same day. Dental implant technology continues to improve every year and makes the practice of dental implants more predictable as newer techniques are discovered and proven. More importantly dental implant companies need to conduct studies and tests to ensure that newer dental implant technology is effective and predictable. For more information about Dental Implant Technology please feel free to Contact Brighton Implant Clinic or Call us on 0800 111 6623 .